Cognitive Role of Concepts. 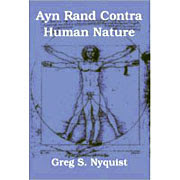 In her Introduction to Objectivist Epistemology, Rand sought to solve the "problem" of universals, which she decided involved the issue of what concepts refer to in the real world. This issue is inextricably connected to the issue of classification. Concepts, for Rand, refer to classes of "units." Rand's "problem of universals" resolves ultimately into the issue of how the data of sense is classified under various concepts. Essentially, Rand provides a two part answer to this question. Concepts are classified (1) by their distinguishing characteristic(s), with their "measurements omitted"; and (2) concepts are classified in terms of "essential characteristics," which renders them cognitively efficient. In my last two posts, I refuted the first part of this answer. In this post, I will examine the second part. Measurement Omission 2: In my last post, I introduced Merlin Jetton's criticism of Rand's measurement omission theory. In this post, I will introduce what I consider an even more devestating criticism. Since Rand regards concept as the principle unit of human knowledge, the issue of how concepts "correspond" to reality becomes a problem. But what if we don't regard concepts as the principal unit of knowledge? What if we regard them merely as symbols conveying meanings? If a concept merely means what it means, then there's no issue of "validity" or correspondence at all. These meanings can be used to make assertions about anything, real or unreal, truth or lies. The merit of this approach is that it nips in the bud futile arguments about the meanings of words. What a word (or "concept") means is immaterial. It's the meaning of the statement that is important, and that meaning is whatever is intended by the individual who presents the statement. Once we understand the intended meaning of the statement, we can go about testing it to determine whether its true or false, plausible or implausible. By regarding concepts merely as meanings, rather than knowledge, we overstep altogether Rand's problem of universals and concepts. Instead of worrying about the relation of concepts to reality, we focus on the relation of our statements and theories to the real world. The problem of universals is replaced by the far more fruitful problem of theories. Testing and criticizing theories becomes our primary objective; while concepts merely become the vehicle for expressing our theories.